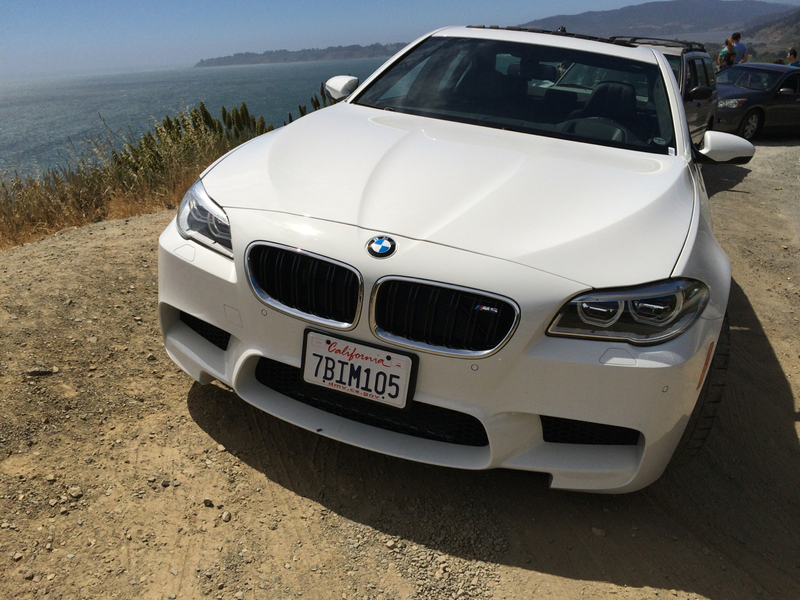 In June, I rented the BMW M5 from Hertz SFO for 24 hours. 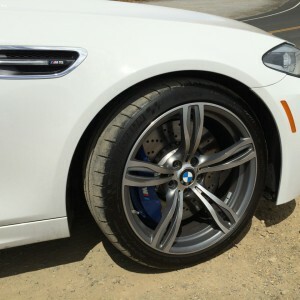 It was my first time driving a “M” BMW. It was simply amazing. 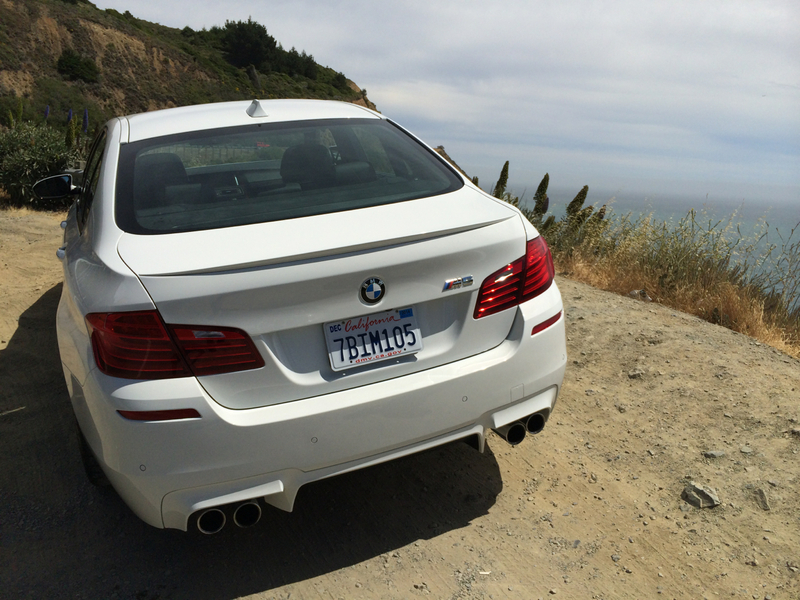 The exhaust sounded deep and the advanced sport settings made it a blast to drive. 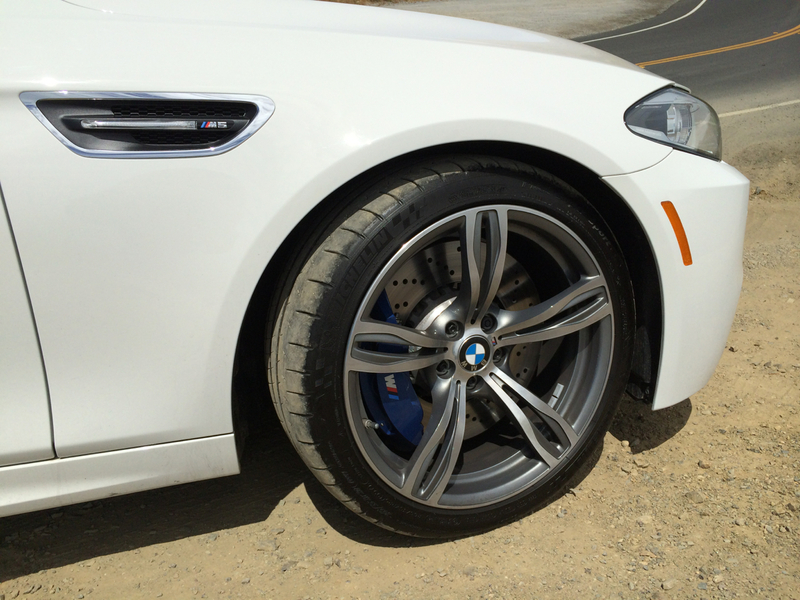 Alpine White is one of my favorite BMW colors. 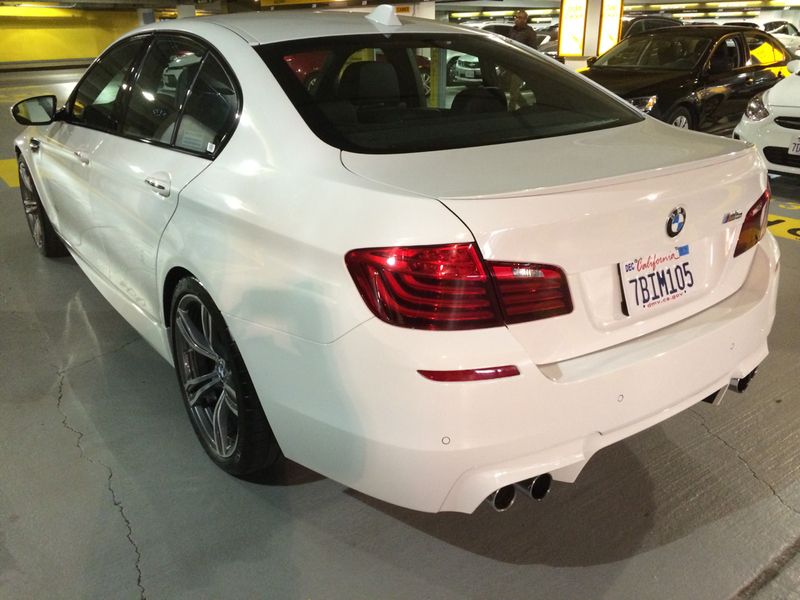 I was given the option of White or Black and of course I opted for the White M5. 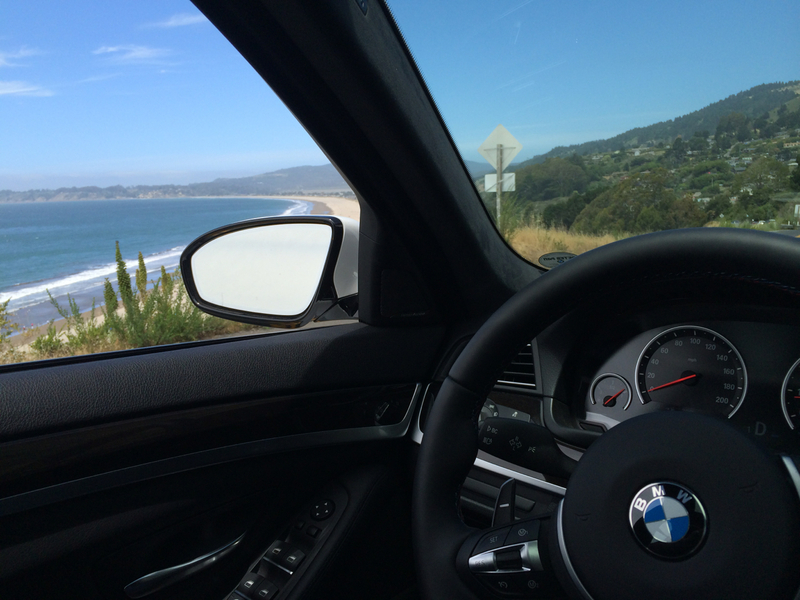 I decided to drive it to Stinson Beach as it was a beautiful Saturday in the North Bay. 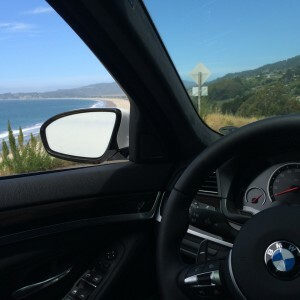 The cooled front seats came in handy. 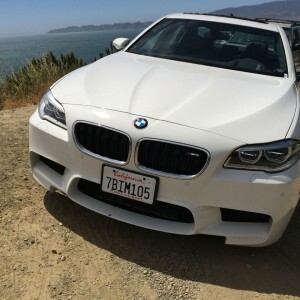 I was limited to 100 miles of use or there would be a per mile charge of $.69 per mile. 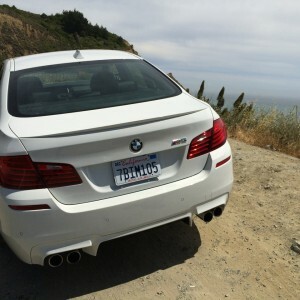 I reserved it in December 2013 for $212 per day. About 50% cheaper than the going price today. 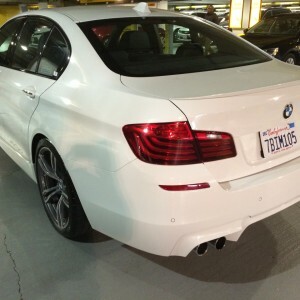 Upon returning the car to SFO, the return attendant again redirected me to take the car to the main rental office located on the same level but on the south side of the parking garage. Everytime there is a new “location manager” on duty. The one today didn’t do a full inspection and just handed me the final bill (99 of 100 allowed miles driven). 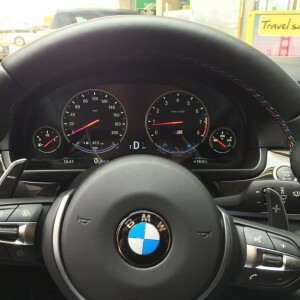 I was able to get a ride to Millbrae BART just as I did with the Tesla rental but this time in the Lincoln Town Car used for Hertz Platinum members. 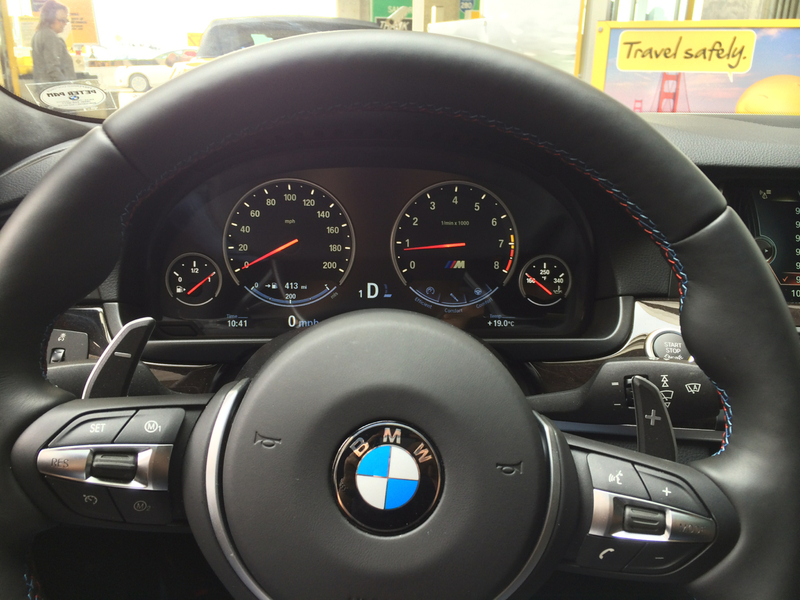 I’ve now fulfilled my BMW dream. Stay tuned for my upcoming ride report on the 2014 Corvette Stingray.